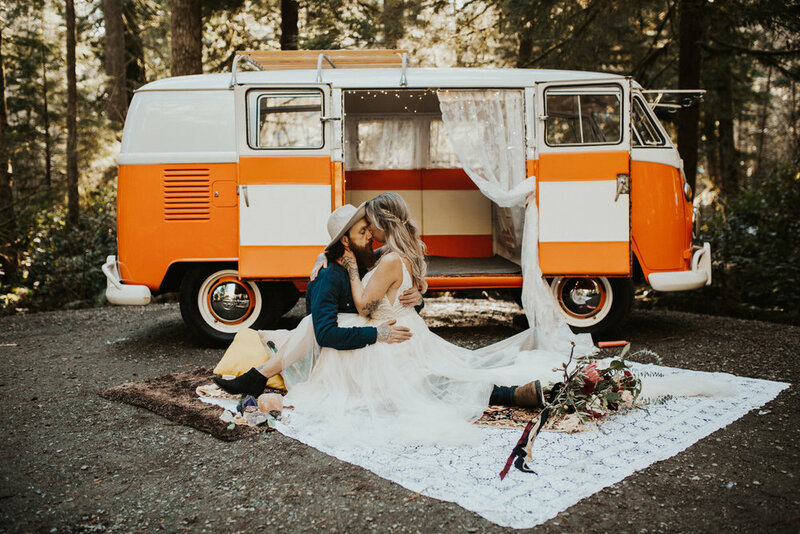 Lacey and Jordan's VW West coast stylized Elopement is our favourite session to date! We had an amazing time working with local BC Vendors,to come up with this beauty result! 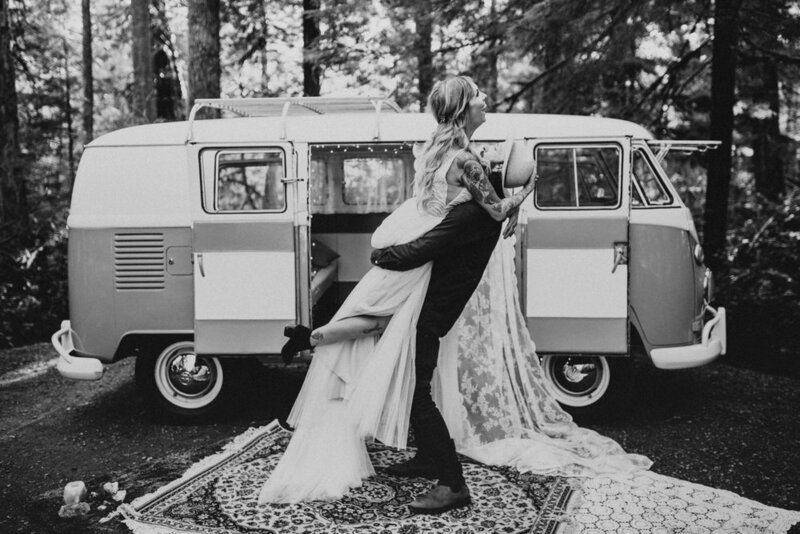 can you believe this was in a camp ground? 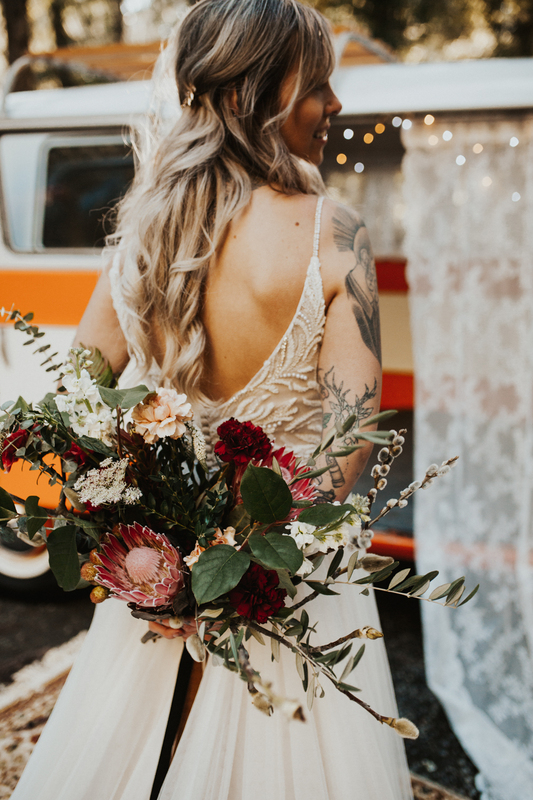 We wanted to create a very wild bouquet that tied into the colouring of the session + document it in such a way where you can feel the movement and love in the air! 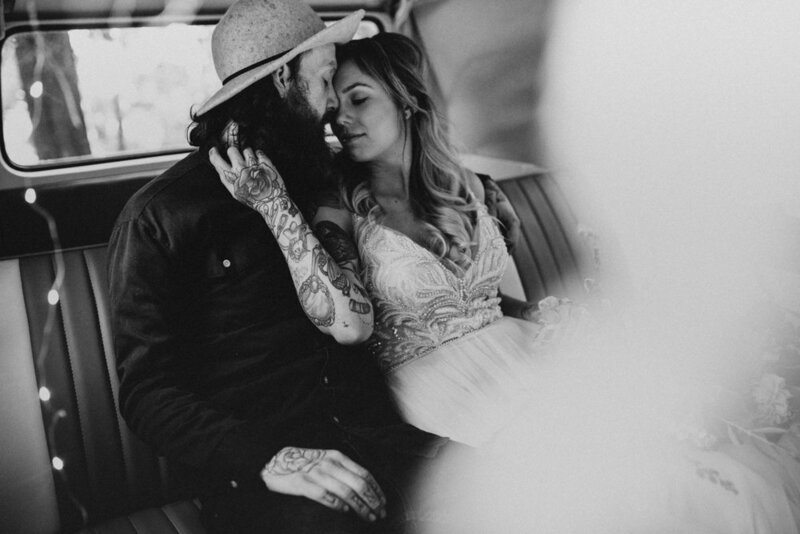 We wanted to focus on their intimacy they share for each other.They couldn't keep their hands off one another, and we couldn't stop giggling over the gorgeous images! 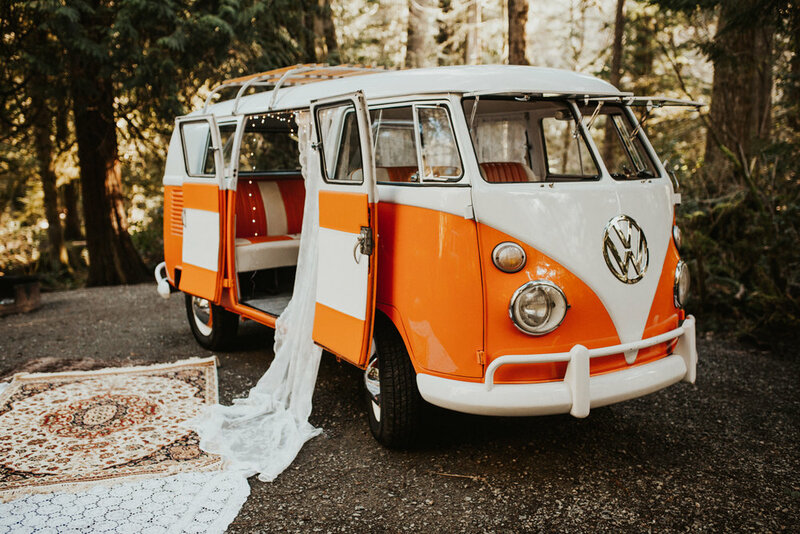 Ps this VW Bus is rentable for a photo booth, a backdrop ceremony piece or anything else you can think about. She's a beaut!